The titles of health system executives and professionals are evolving and changing. Since 2009, there has been a rush to implement EMR/CPOE systems and meet Meaningful Use and ICD-10 requirements, along with an increased focus on Data Analytics, Population Health and Accountable Care. These IT initiatives are spurring new titles and positions. I am also seeing organizations realize the need to establish CIO successors, which has moved systems to recruit Associate CIOs or Deputy CIOs. 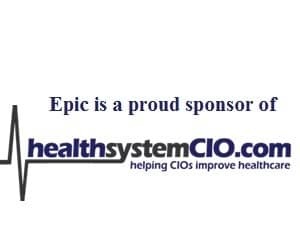 The demand for Regional CIOs has grown as health systems are merging and acquiring in new regions and states. As EMRs are being implemented, the clinical integration required with all the ancillaries and ambulatory systems has created roles for Clinical Integrators. Clinical documentation specialists are desired as health systems move toward the goal of a paperless record. And with emerging technologies in healthcare, the need for specialists in architecture, data warehouse, mobile, cloud, are IT security are being sought. The new titles I am seeing represent new categories of responsibilities that have arisen from the key initiatives of the last four years. So instead of just the Chief Information Officer title, organizations are adding words like Knowledge, Innovation or Transformation to position titles. As you ponder your hiring needs or your next career move, be aware that the IT titles of the past are changing to reflect new initiatives and responsibilities. These new health system monikers and positions also vary depending on who they report to in the organization. In some instances, there may be dual reporting or dotted line relationships. If you need help in selecting a great new title for an upcoming hire, check out executive recruiter websites and health IT job boards for ideas for “trendy” suggestions.